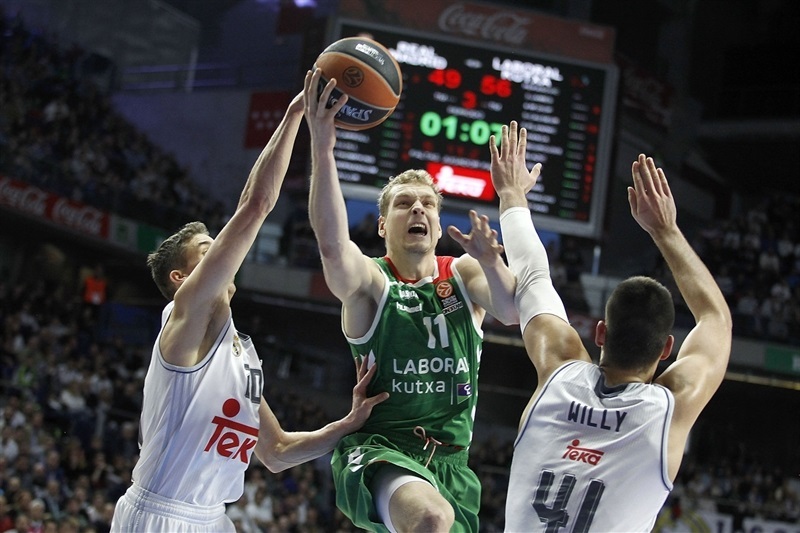 In an All-Spanish showdown in Group F, Laboral Kutxa Vitoria Gasteiz recorded its third road win in this season's Top 16 by downing Real Madrid 68-77 in the Spanish capital on Friday. Laboral improved to 4-2 with back-to-back road wins over FC Barcelona Lassa and Madrid, which dropped to 3-3. Fabien Causeur led the winners with 15 points. 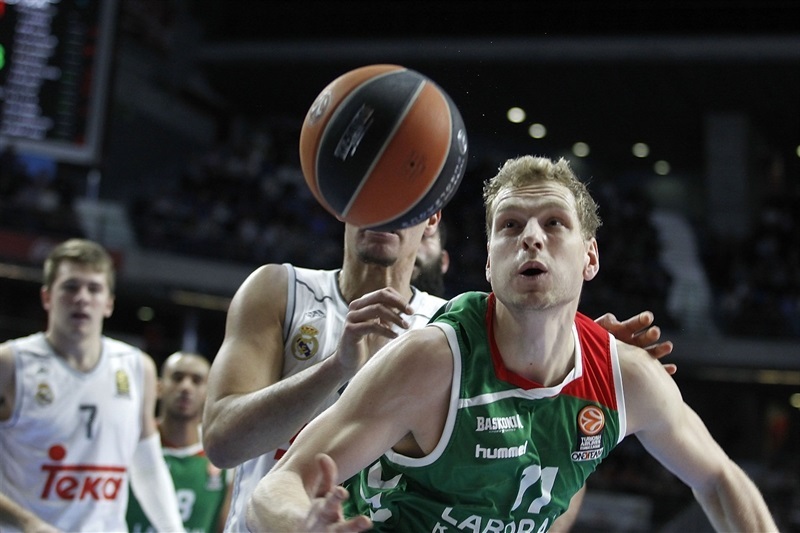 Jaka Blazic added 13, Davis Bertans had 11 while former Madrid center Ioannis Bourousis pulled down 14 rebounds for Laboral. 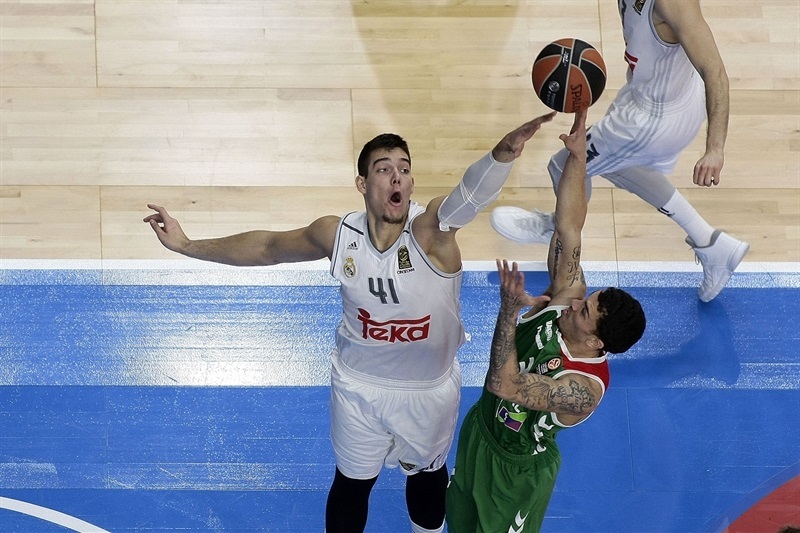 Sergio Rodriguez led Madrid with 18 points and Willy Hernangomez added 13 for the hosts. Gustavo Ayon shined early to put Madrid ahead, 11-8. Three-pointers by Causeur, Adam Hanga and Bertans ties the game, 19-19, at the end of the first quarter. Bertans kept pacing Laboral and got help from Blazic to boost the guests' lead to 31-39. Sergio Rodriguez and Felipe Reyes hit back-to-back triple to bring Los Blancos within 37-41 at halftime. Laboral took off after the break, as Hanga, Ilimane Diop and Causeur helped the visitors to a 15-point cushion. Madrid rallied to within 63-64 on a three-point shot by Andres Nocioni, but Darius Adams had 5 points and a behind-the-back assist in a 0-9 run that sealed the outcome, 63-73, as Madrid never recovered. 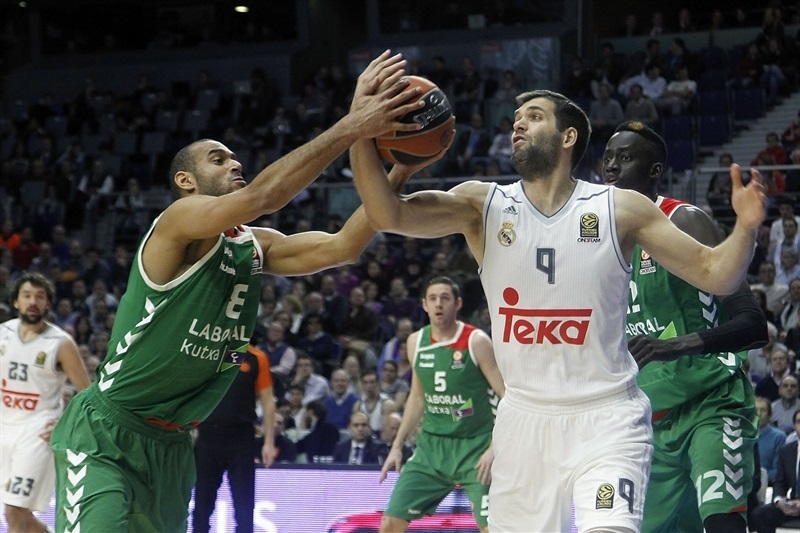 Felipe Reyes got Madrid going with free throws, which Causeur erased with a fast break layup. 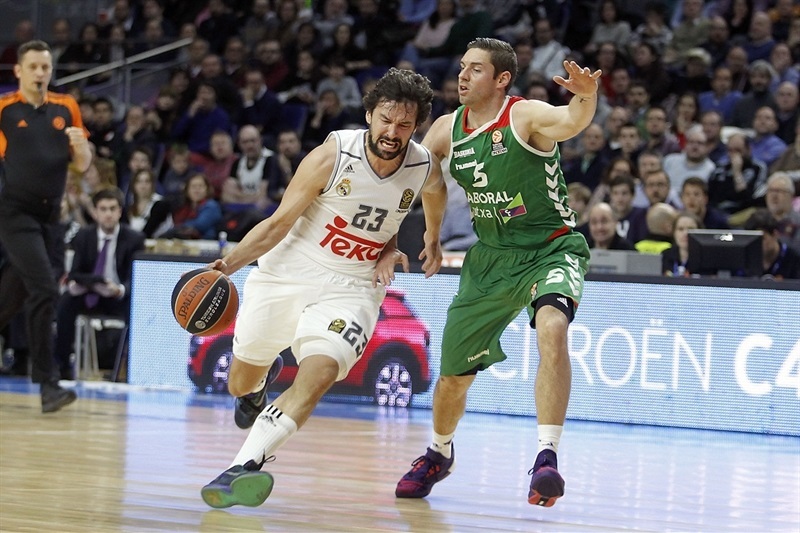 Sergio Llull and Kim Tillie traded three-pointer and a jump hook by Ayon restored a 7-5 Madrid lead. Causeur joined the three-point shootout, but Ayon finished a great Madrid play with a dunk and then fed Reyes for a layup that gave Los Blancos an 11-8 lead. 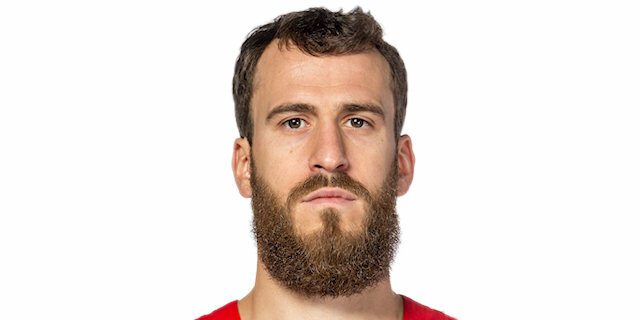 Causeur kept pacing Laboral with a driving layup, which Sergio Rodriguez bettered with a triple. Causeur answered from downtown and Adam Hanga bettered K.C. Rivers's close basket with a three-pointer that tied it at 16-16. Davis Bertans, now playing power forward, nailed a nine-meter bomb, which Ayon erased with a layup-plus-foul to tie the game at 19-19 after 10 minutes. Bertans nailed another catch-and-shoot triple from way downtown early in the quarter and soon buried another one to boost Laboral's lead to 19-25. Madrid struggled to score for more than two minutes until Hernangomez stepped up with a reverse layup. 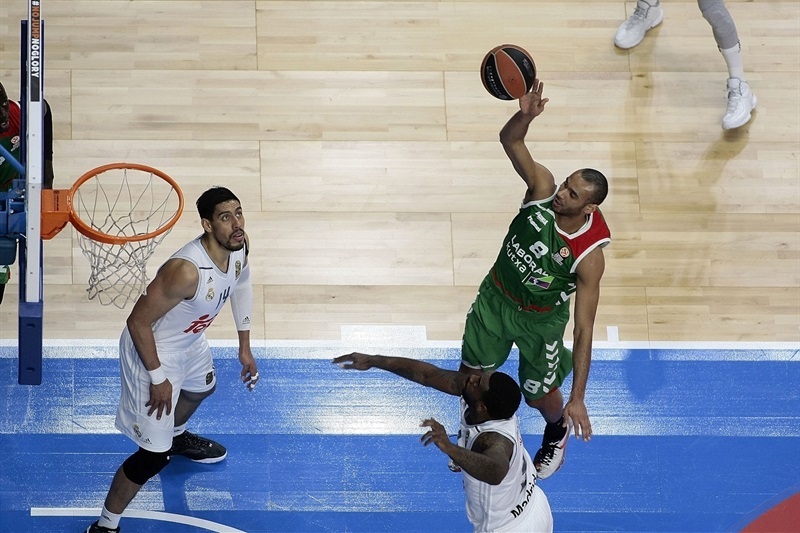 Jaka Blazic hit free throws and a jumper by Mike James caused Madrid to call timeout at 21-29. Hernangomez scored again and free throws by Rodriguez brought the hosts within 4. 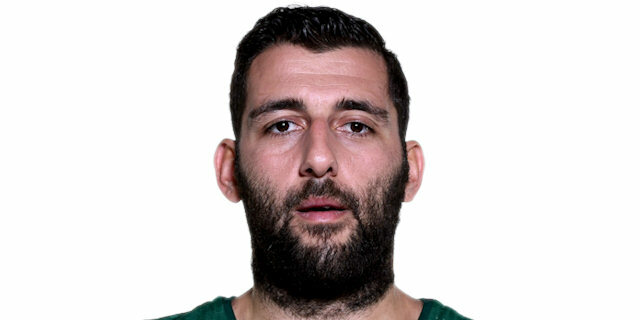 Ioannis Bourousis - playing with 2 fouls - stepped up with a put-back layup and free throws by Blazic set a 25-33 Laboral margin. Jaycee Carroll took over with consecutive baskets and Hernangomez matched Bourousis's foul shots with a jump hook. Blazic shined with a fast break layup, which James followed with a jumper, which prompted Madrid to stop the game at 31-39. Rodriguez struck from downtown but free throws by Bertans kept the visitors in control. A three-pointer by Reyes fixed the halftime score at 37-41. Hanga dunked immediately after the break and Ilimane Diop soon added an alley-oop slam to boost Laboral's lead to 37-45. Rodriguez tried to change things with a driving layup, which Causeur bettered with a bomb from downtown. Reyes had to leave the game due to a shoulder injury. Causeur shined with a driving layup that made it a double-digit game, 39-50. Rodriguez scored again, but Adams and Diop made free throws to boost the guests' margin to 13. 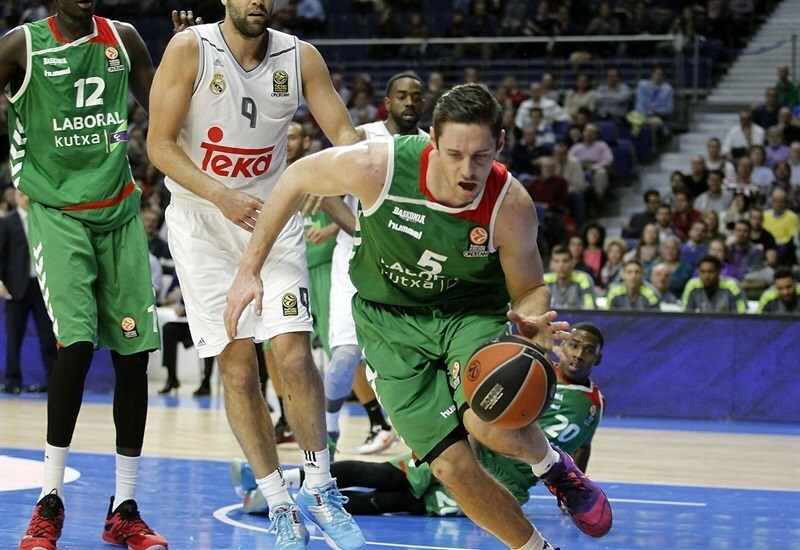 Madrid kept struggling to score and an alley-oop layup by Hanga broke the game open at 41-56. Llull and Hernangomez rescued Madrid with foul shots and a close jumper by Carroll prompted Laboral to call timeout at 46-56. Carroll split free throws and a dunk by Jeffery Taylor got the crowd involved at 49-56, after an 8-0 run. Blazic stepped up with a layup-plus-foul to restore a double-digit Laboral margin, 49-59, after 30 minutes. Hernangomez shined with a big basket in the low post early in the quarter and free throws by Llull gave Madrid hope at 53-59. 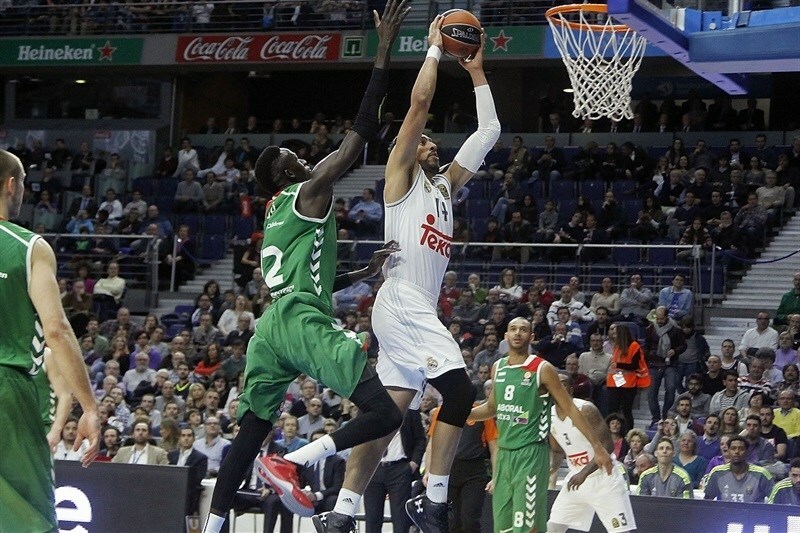 Laboral was held scoreless for more than two minutes, but Bourousis stepped up with free throws. Hernangomez kept pacing Madrid with a layup and a tip-in that caused Laboral to stop the game at 57-61. Blazic shined with a wild driving layup, which Rodriguez bettered with a corner three-pointer, 60-63. Bourousis split free throws and a corner triple by Nocioni made it 63-64. Blazic scored again and a driving layup by Adams gave Laboral some fresh air with more than three minutes to go. 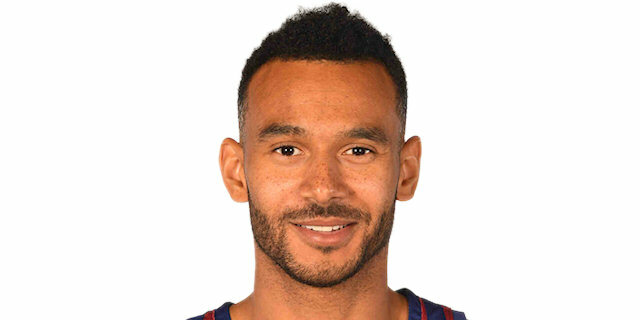 Adams fed Tillie for a fast break slam and soon struck from downtown to seal the outcome, 63-73. 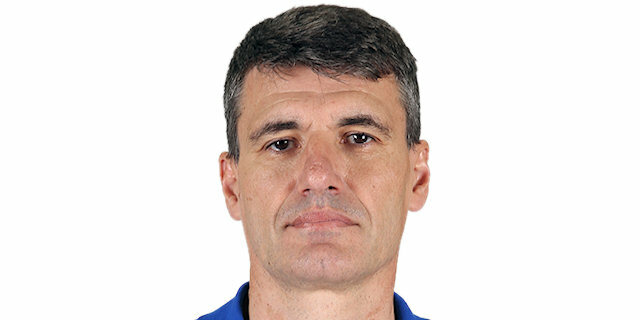 Madrid kept missing shots when it mattered most and even after Nocioni hit an off-balance shot, it was already too little, too late for the reigning champion, as Laboral had cruised to a well-deserved road win. "It was a close game in the first quarter and after that, the three-point shooting streak allowed them to get the lead. They played with a lot of confidence. We missed some open shots early in the third quarter. They got an 8-9 point lead and after that, we hd to change the game rhythm somehow. We fought to return to the game but there was a key moment, in my opinion, when we were down 63-64, in which we were not able to keep our temper, probably because of our previous effort. We made some mistakes on defense and offene and they sealed the win. Congratulations to Laboral Kutxa, they were really tough and aggressive. We couldn't match their toughness and focus for the best part of the game. If you take a look at the stats, our three-point percentage is what hurt us the most in a game in which they go a deserved win. We had moments in which he had three weeks of good results, like we did in December. I always aspire to play better. 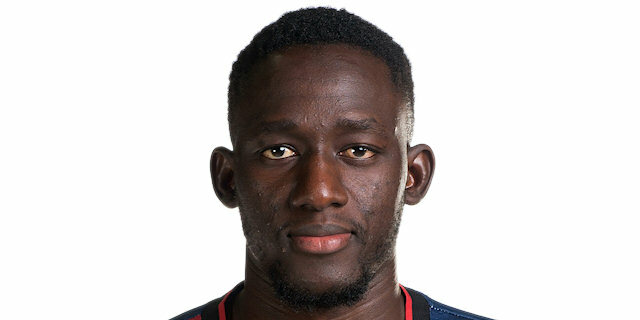 We had a troubled season rom the very beginning but I believe in my team's growth and think our best playing level is yet to come." "It was an important game for both teams. We were focused from the very beginning. We had problems at the beginning of the game due to turnovers but worked better after that and this is when things started to get better for us. I think we controlled the game until the fourth quarter, when Real Madrid got within one point. That is normal, when you play against a team with such great offensive talent, it happens, but we kept our temper to win it in the end. There are many games left against very good teams and things can always go south. We have to focus on our next game against Brose Baskets, which is going to be one of the key games for us. We cannot lose at home against teams that may be in the fight to qualify. If we lose at home, these road wins against very good teams liks Madrid and Barcelona will not count as much. We have to keep our feet on the ground. You can always get better - we picked up 5-6 turnovers in one quarter and allowed 7 offensive rebounds in one quarter. There is always something you can work on but in general terms, when you play against such powerful teams, you know you will make mistakes and your opponent will make right choices. We played well, obviously - if we hadn't done that, we wouldn't have won here." "We didn't play well. We were rushing things all game long. We managed to return to the game in the third quarter but were not consistent on defense and could not play at the rhythm we would have liked to have. They hit many three-point shots in the first half and played with more intensity than us. We probably made more fouls but they were more intense and played better than us. There are eight games left - we know how important it is to win at home. We lose twice in here and have to bounce back, there is nothing else we can do." "It is always tough to play against a very big team like Madrid, with a lot of talented players, but we managed to get this win. We played with more intensity and a better rhythm, which allowed us to win. This is the Euroleague, we have to enjoy every game and the only way to win in this competition is to enjoy on the court. We are just a team that plays together and tries to get as many wins as we can." "Every win is big for us. I think we don't have to overthink this win. It is really great that we beat Barcelona and Madrid on the road in one week. It is very important, but it is not over, we still have a lot of games left. We have to keep playing this way. We play the next two games at home against Bamberg and Zalgiris, which I think is a key game for us. A 4-2 record is very good, especially in this group, with teams like Real Madrid, Barcelona, CSKA, Khimki, Olympiacos... but like I said, it is not over - there are many games ahead of us against very good teams. We have to keep playing hard defense, play as a team and enjoy. We played pretty good defense and tried to slow them down. They missed a lot of fast break layups and we had a lot of offensive rebounds." "It is a very important win for us. You have to play hard when you come to Madrid. We didn't give up, played hard and won the game. I tried to give the best for my team, other teammates played better and we won this game. I don't care if I didn't score a lot or made mistakes. The most important thing is that we won the game and this is very important for us."